Well first, let’s take a look at some strong personalities we know already. First, take your classic know-it-all, smarty-pants, wise-guy for example. (We all know a few.) Whether it’s a nearby table at a go-to coffee spot, or a talk show host on our favorite fake news channel, we can’t seem to escape from a know-it-all and their steadfast (usually wrong) opinions. But there is one particular know-it-all who we don’t seem to mind. In fact, you probably grew up with him. Long, white lab coat and black bow tie. Do you know who it is yet? You guessed it! Bill, Bill, Bill, Bill, Bill, Bill! Who better to learn how to create your personal branding strategy than a scientist? Bill is back now, and he’s on a mission to save the world. Only two decades ago, the poster guy for science began two self-titled shows Bill Nye the Science Guy and The Eyes of Nye, providing easy-to-digest educational science videos for school children. 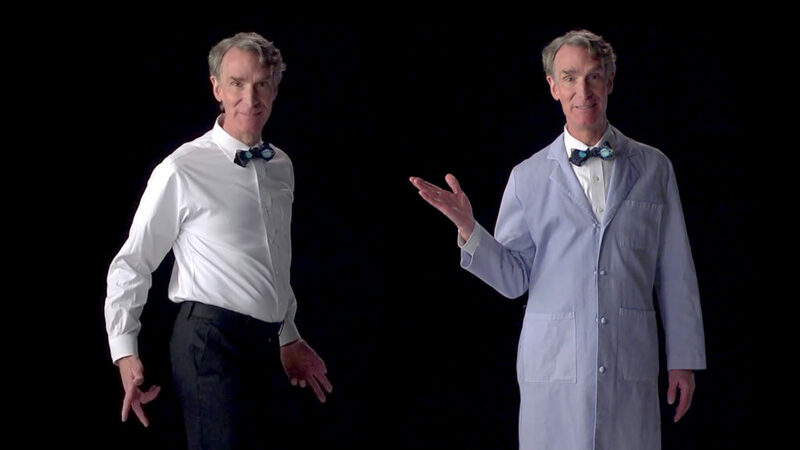 But, the television isn’t the only spotlight where Bill shines his love for all things science. In fact, he has his own climate exhibition at the Chabot Space & Science Center in Oakland, California. Can you guess what it’s called? Yes, of course, “Bill Nye’s Climate Lab.” And recently, Nye spoke to the hundreds of citizens, scientists, doctors and engineers at the recent Washington D.C. March for Science. It seems like a trend is building here – Bill Nye’s name is everywhere. Is Bill obsessed with himself or does he just have an impeccable personal brand? With his new Netflix series Bill Nye Saves the World, it doesn’t sound like Bill is quieting down anytime soon. He’s expanding to an older audience, bringing in well-known personalities, and focusing on the big issues that affect society, from climate change to space exploration and even evolution. And the best part about it? Bill’s the same guy he was when he taught school children two decades ago! There was one objective for Bill Nye the Science Guy when it aired, and that was to “Change the World.” Seven rules were laid out to meet the show’s objective, my favorite one being: “Science Guy is always himself.” The same lovably-awkward- know-it-all-with-an-undying-love-for-corny-jokes-yet-unwavering-passion-for-science guy is back. But this time he’s not just here to change the world, he’s here to save it. 1. Advocate fearlessly for your passions. Never let fear of judgment hold you back from doing what you do best! With such a wide online presence, Bill has had his fair share of negativity. Watch how he fearlessly combats negativity and advocates for what he knows to be true. 2. Be a loud and proud know-it-all/expert in your field. There will always be pushback, from the bottom and the top! You may not be the brightest or the smartest, but the goal of a personal brand is to be noticed for your best and most authentic self. 3. Always search for ways to expand your influence to your target audience. Bill was able to expand to an entirely new generation while staying true to his personality and his passions. You can’t change the world if you’re only talking to a small group. 4. Stay focused on the message you want to share. Bill focuses on climate issues for a reason. You need to be repetitive to let the impact and importance of your message sink in. 5. You don’t need fire eyebrows for people to admire you. Shocker! I know. 6. Grey hair can’t stop your brand from going strong. You’ve worked so hard to gain credibility and advocate for your passions, don’t let those grey hairs stop you! You too can change the world (and be more effective while you’re at it) by employing Bill Nye’s scientific methods for personal branding. 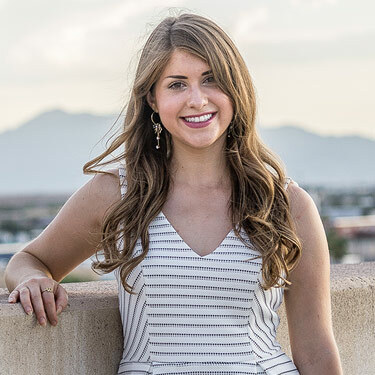 Through smart messaging, branding, marketing and advocacy, Javelina helps individuals and organizations from all backgrounds bring their story to life so they can change the world.